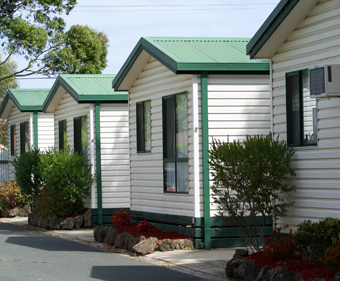 Carrum Downs Holiday Park is located in the greater Frankston area, less than an hour’s drive from Melbourne, and only a short drive to the beaches and wineries of the beautiful Mornington Peninsula. If you like to bring your furry friend on holidays with you, you will be pleased to know that this park and motel offers pet-friendly powered sites and rooms, with a dog park just next door! 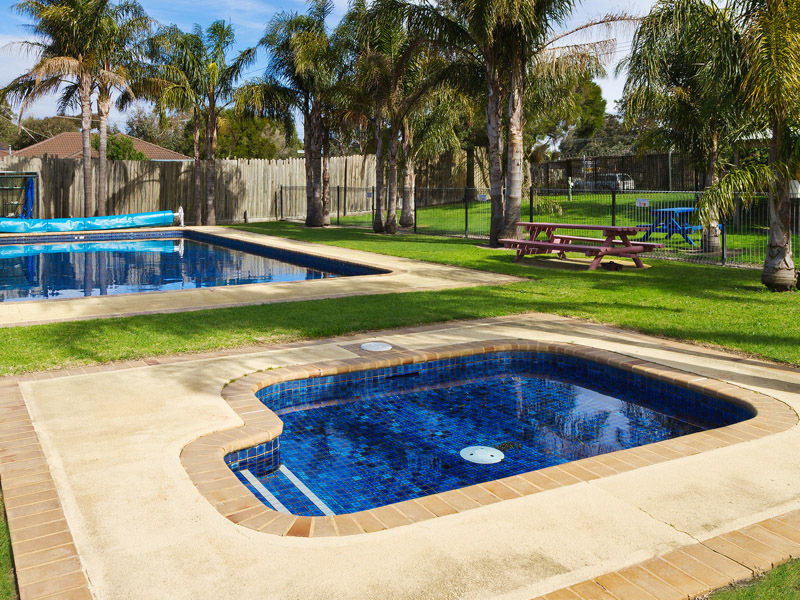 Enjoy a relaxing swim in the outdoor pool, before cooking up a storm in the large BBQ area and community kitchen. 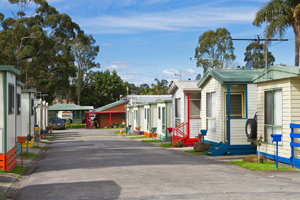 We are excited to announce that solar panels have been installed at Carrum Downs Holiday Park. 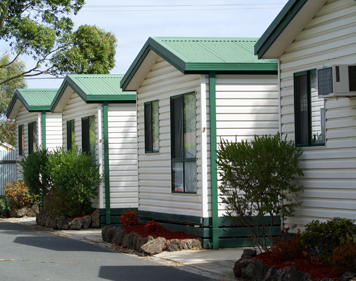 Caravan Parks of Australia is dedicated to sustainable business practices, and we are proud to offer an eco-friendly accommodation option for visitors to the Greater Frankston area. Click here to read about the panels in Frankston City Council’s Enviro News. 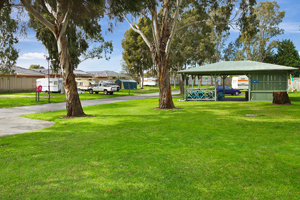 Carrum Downs Holiday Park contains powered sites, BBQ facilities, swimming pool, coin laundry, and community lounge and kitchen. Wifi internet with limited data is also available for our guests. Motel rooms also available: Click here for more information. 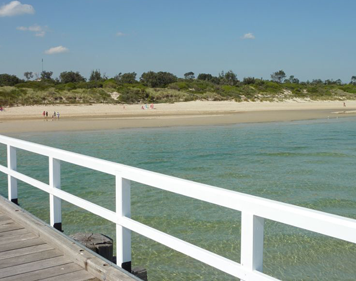 Offering beautiful beaches and gardens, as well as some of Victoria’s best golf courses, the greater Frankston area is the perfect place to relax and enjoy yourself. For more information on local attractions near Carrum Downs Holiday Park, click here. To make a booking, you can use our online booking system, or contact Park Management directly. There are some tiles missing from the base of the pool in the deep end. We are able to keep the pool open while getting the problem solved but we ask swimmers to take precautions around this area. Bring yourself and your van or motor home and soak up the pleasant surroundings. Make the most of our facilities too – there’s nothing like a BBQ under the stars. Please call the park directly for pricing information, or to arrange an inspection. Looking for a new place to call home? 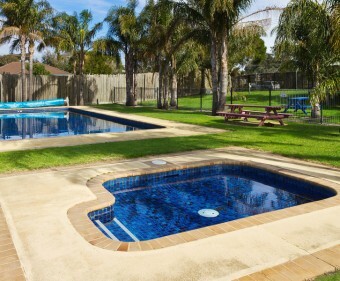 We offer a range of long term rental accommodation in a friendly environment close to local conveniences.